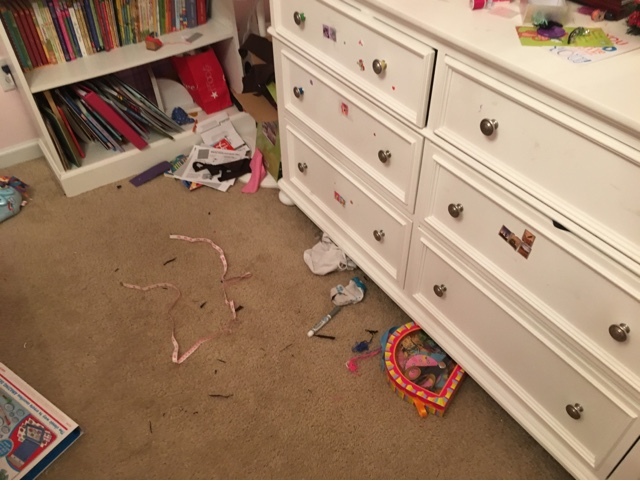 Please tell me I'm not the only one with a messy child. And I'm not talking like Pig-Pen messy, but more like Hoarders messy. My 8-year-old needs an intervention. Like a Super Bowl needs hilarious commercials. 1. Watch two TV shows. TV has always been off-limits on school days, so this was a big change. But the kids are ALWAYS up before me, so I figured I would change things up and let them get some "fun" out first thing so maybe they'd be more likely to give me their attention and focus. Maybe? 2. 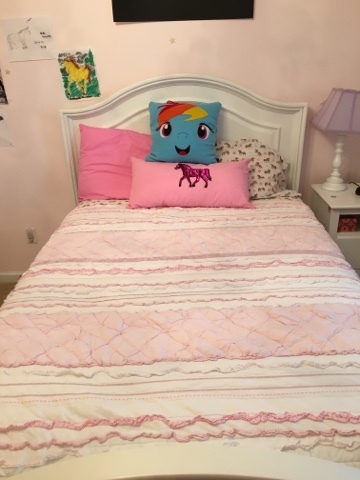 Make your bed and clean your room. Oy vey. The bane of my exsistence and catalyst for writing this post. More on this below. 3. Eat breakfast. To my relief, these kids are straight up self-serve. Cereal, Pop-Tarts, fruit, yogurt... And LO knows how to make a mean box of Jiffy blueberry muffins. 4. Get dressed. This one was a tough call for me to add to their morning routine. We are straight up pajama people so this was a BIG change. But I thought I'd give it try to see if it'd somehow improve their focus. 5. Brush your teeth and hair. Clearly this is a requirement every morning. But a reminder never hurt anyone, right? 6. Read your Bible/devotions. I'm ashamed to admit this is another new addition to our morning routine. I've never wanted to "force" the kids to do this, but at the same time, I wanted to encourage them to develop a habit of spending time with God each day. I ordered new devotional books for all 3 kids and can't wait for them to arrive on Monday to help get them excited about this time. And the kicker? All of this must be completed by... 10:00 AM! 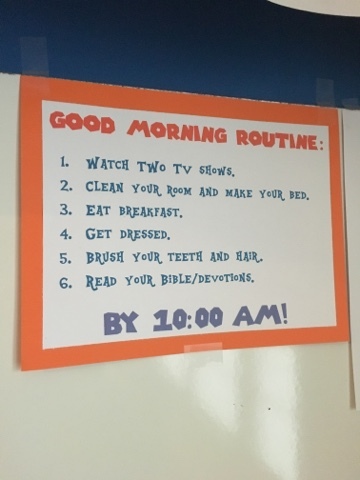 I posted the routine in our classroom and spent time going over it with the kids before implementing it so they would be aware of my expectations. 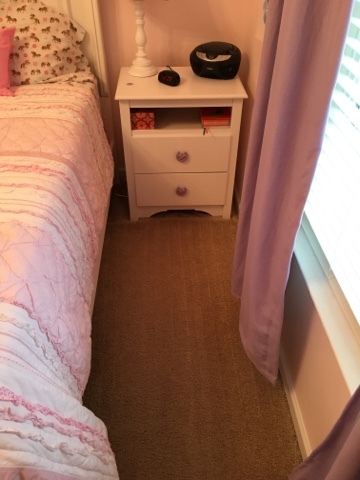 But there was one item that had me trembling with fear for the start of the next morning: the cleaning room thing. 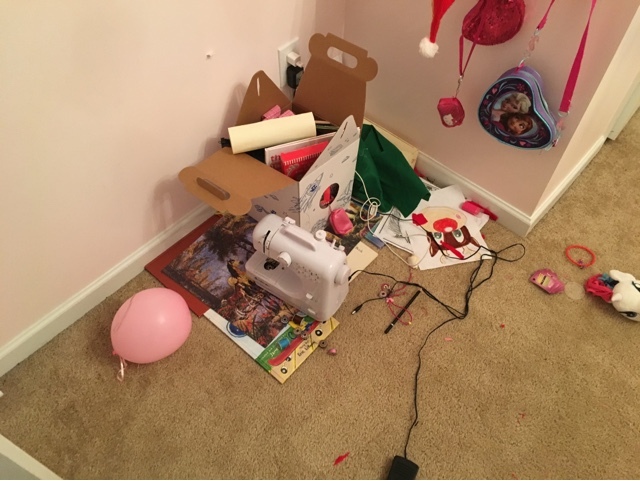 LO's room was a straight up embarrassment. Overwhelming. Ridiculous. 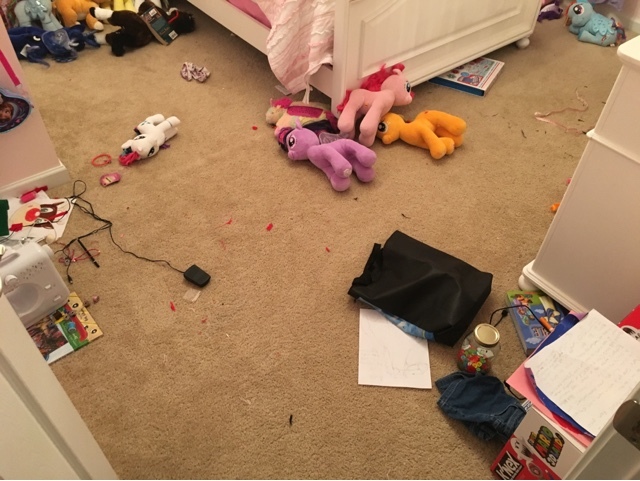 And I knew there was no way she would be able to "clean her room" in just a few moments each morning given its starting point. At least not up to my standards. So I made sure my life insurance payments were up-to-date and headed into the war zone. 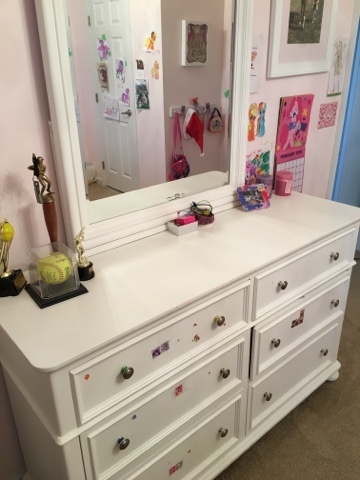 * Not pictured: The madness under her bed and dresser, and in her nightstand drawers. Seriously. How does this happen!? 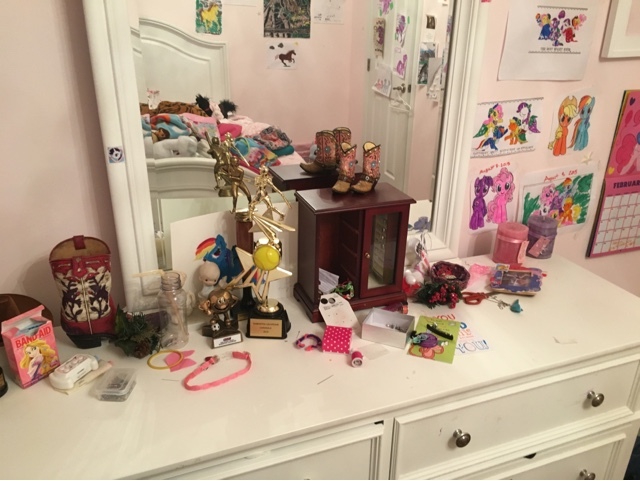 I can't believe how overwhelmingly, ridiculously hoarderrific my daughter's room had become! The fact that I'm even sharing these photos here is a legitimate risk that my parenting will be called into question by the general public. Sigh. Where does one begin!? 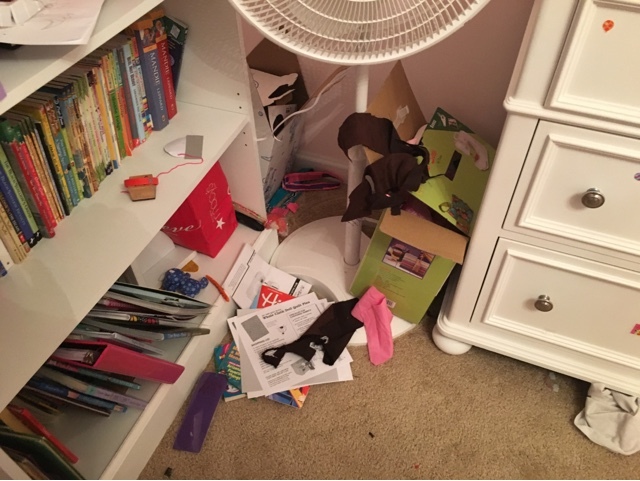 At the start, LO was with me and involved in the efforts.... uncovering the 12 pounds of trash from under her bed, under her dresser, in her nightstand... So. Much. Stuff/Junk. It was ridiculous. I knew it was bad, but I didn't know it was THAT bad. It didn't take long before she lost interest in the process. This actually worked in my favor, though. It allowed me to throw things away at will -- without tears, arguing, or complaining -- from either of one of us. Two and a half hours. TWO AND HALF HOURS. It was ridiculous, but I was on a mission and would. not. be. defeated. I think my efforts paid off. 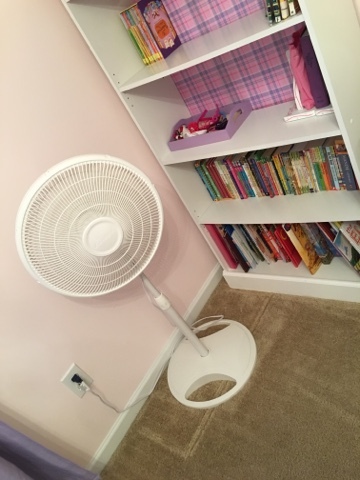 Especially when LO walked in, gasped, and exclaimed how much she loved her "new room!" 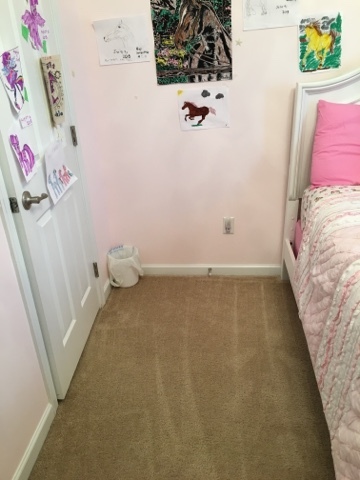 That's how bad it was -- that a clean room was like a different room. Lovely, right? 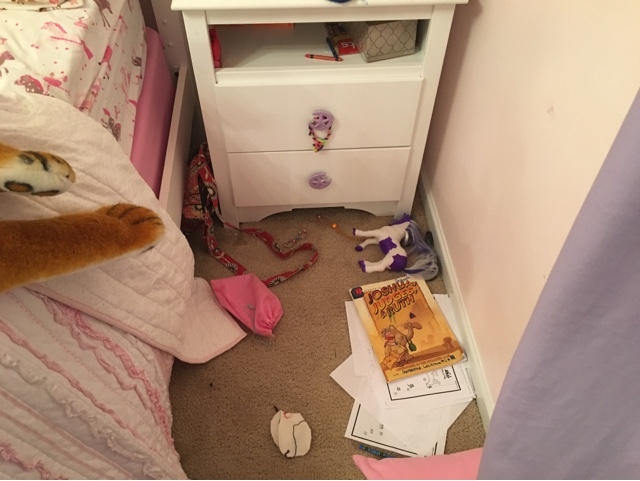 I know some of you may be thinking that I didn't teach my child any lessons here because I didn't force her to clean it all on her own. And I get that. But for me, it was more about a fresh start with our new routine. Something she could actually achieve on her own. 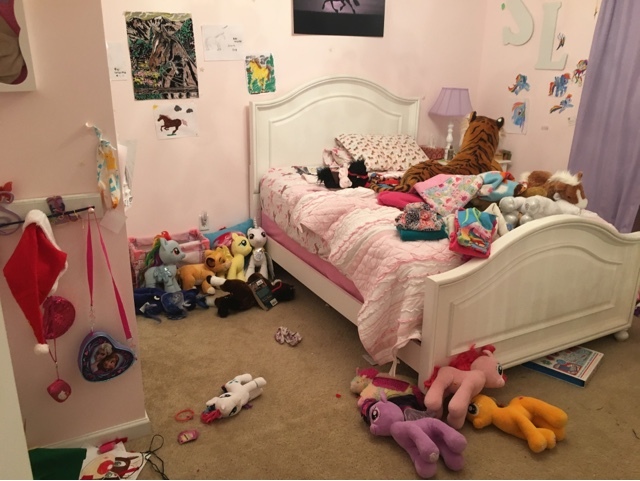 It also gave me the opportunity to ensure that nothing was located in her bedroom with the exception of furniture, clothes, books, and stuffed animals. 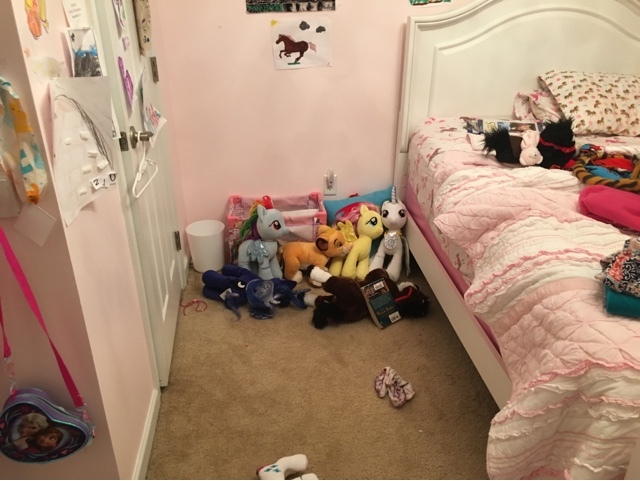 Going forward, she is not allowed to have anything else in her room until she demonstrates to us that she is capable of honoring the blessings God's given her by caring for them.